Power fill is Polartec’s latest synthetic insulation, but does it make the Millet Elevation Airloft Hoody hot property for hillwalkers? 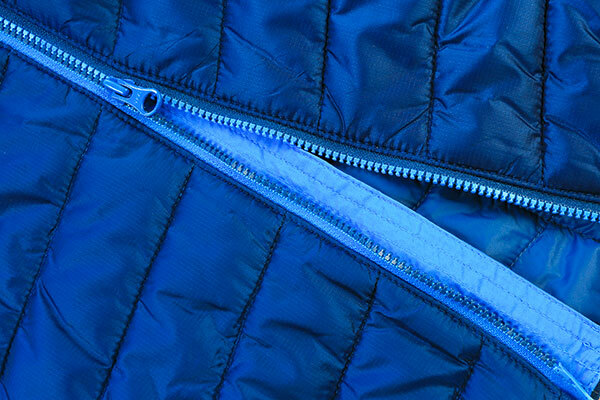 The dominance of down insulation in outdoor clothing could be waning, thanks to recent developments by the manufacturers of synthetic insulation. One of the latest materials to compete for cold weather honours is Polartec Power Fill, a synthetic insulation that eliminates the need for the material to be attached to a scrim or fabric layer to stabilise its movement. The result is a layer of synthetic insulation that is not only more efficient at trapping air to keep you warmer, but it’s also more flexible and more durable than other synthetic insulating materials. The first jacket to feature Polartec Power Fill in the UK is Millet’s Elevation Airloft Hoody, which costs £150 and tips the scales at 357g (size medium). At this price and weight the jacket enters a competitive marketplace, as many brands fight for dominance in this popular arena. Typically these types of jackets are ideal for stowing in a rucksack year-round and slipping on for summit brews, as well as bothy and campsite nights. So does the Millet Elevation Airloft Hoody make the grade for hillwalkers looking to make a new year purchase? The headline story of this jacket is the Power Fill fabric, which boasts improved performance thanks to its unique construction method, which sees hollow fibre polyester forming a geometric pattern which is then heated so that the fibres melt together to form a stable material. Within this structure thousands of pockets are formed which trap the air needed to stay warm, and according to Polartec this material can achieve this more efficiently than other construction methods. But it’s also this bonding process that is key to preventing the need for additional layers of material to hold the insulation in place, and that is what makes the material so flexible and durable. In addition Polartec Power Fill incorporates 80% post-consumer recycled material, so it’s good for the overheating planet too. Millet’s Elevation Airloft Hoody is designed to be light and compact for hillgoers when climbing, mountaineering, walking or skiing. Get the jacket on and it immediately feels light and flexible against the body, with a neat and close fit that will certainly be valued by active users. The neat fit also means you could wear it under a waterproof jacket quite comfortably. Pertex Quantum nylon is used for the shell of the jacket, so you also benefit from a proven top-quality material for fending off wind and light dampness. The hood has no adjustment apart from elastication, but it fitted me nicely and even moved well with my head, which is a good achievement as many jackets around this price point suffer from a lack of a decent hood. The cuffs and hem are both elasticated rather than having additional adjusters, so it is worth checking these areas fit you sufficiently well to lock out draughts before you buy. Again, this is common at this price point. There is an internal and external single pocket high on the chest, both of which are large enough to accommodate a phone, GPS receiver or small guidebook but nothing larger. This is an important issue with this jacket for me though, as inevitably if I put on an insulated jacket when hillwalking or even taking a brew I want somewhere to warm my hands. Some spring and autumn users as well as skiers, mountaineers and climbers may have less need for pockets though. In terms of comfort this jacket is great, offering good freedom of movement in the sleeves, and being nice and warm for milder winter conditions. I would use this jacket during the depths of winter in England, but would take something warmer for Munros in Scotland on the coldest of days. The jacket would be great, however, as a spring through to autumn piece, when you are less likely to need hand-warming pockets. In this situation the low weight and packed size really are a benefit worth having, as the jacket will mostly be stowed in a rucksack and just brought out when resting to remove the chill. At £150 the Elevation Airloft Hoody sits well alongside other synthetic insulated jackets, although many others do have handwarmer pockets. But the softness, weight and packed size are very good, and you are getting insulation with a 80% recycled content. You can get jackets that are warmer but heavier at this price point though, so overall this is one to consider alongside other insulated jackets, and it will be a case of weighing up the details to decide it really suits your needs. Polartec Power Fill raises the standards possible with synthetic insulation, and even uses 80% recycled content. But as always it is how brands use materials that really sets them apart when hillwalking. The Millet Elevation Airloft Hoody is soft and lightweight with a good packed size, but it lacks features that could be deal-breakers, making it one to consider but perhaps not the hot ticket most hillwalkers would desire.